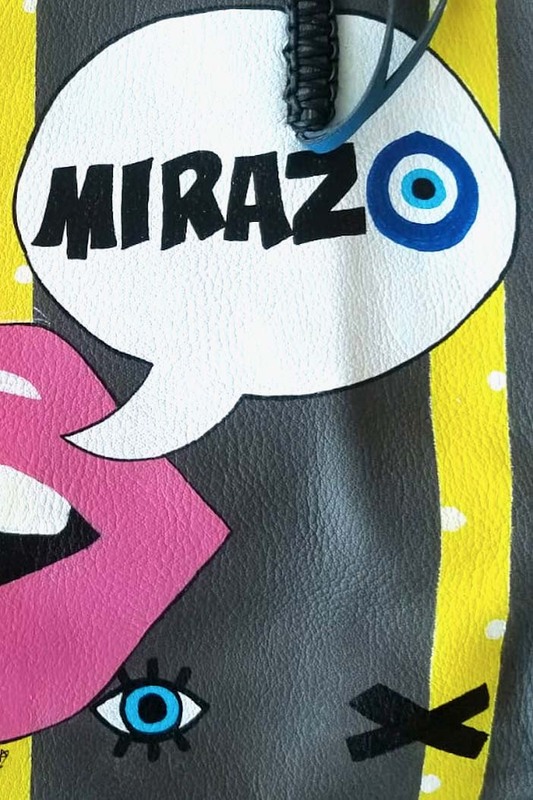 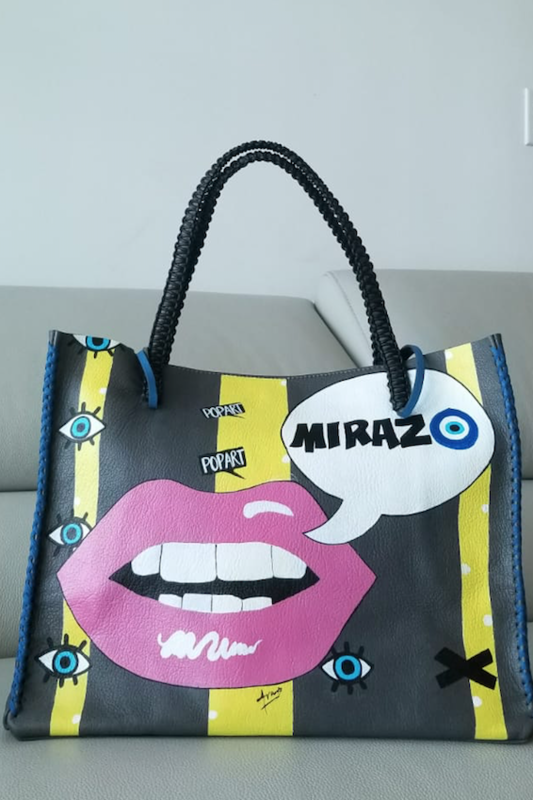 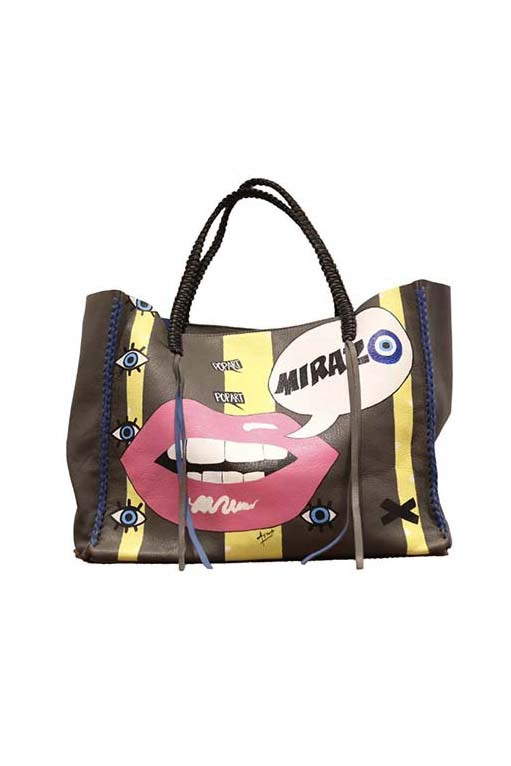 The Mirazo Tote bag X Official Avamae is a one of a kind goat leather bag, hand painted by modern pop artist Official Avamae. 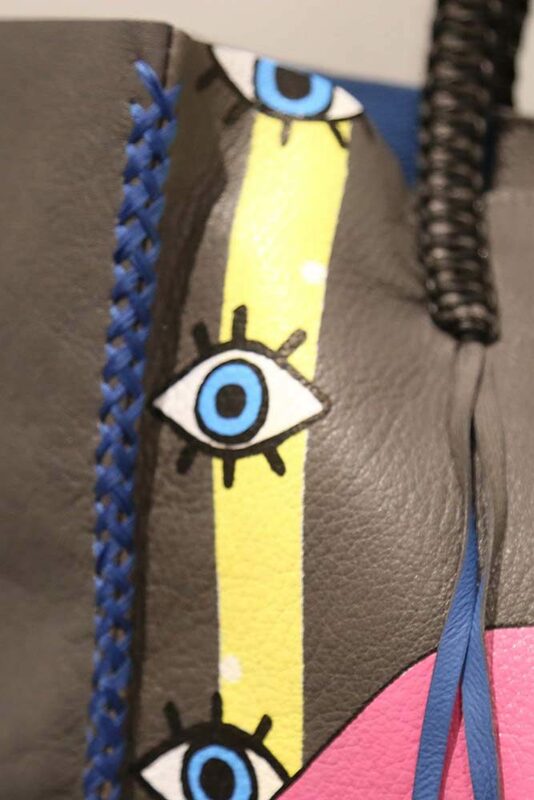 It features 8 long fringes and hand stitched designs. 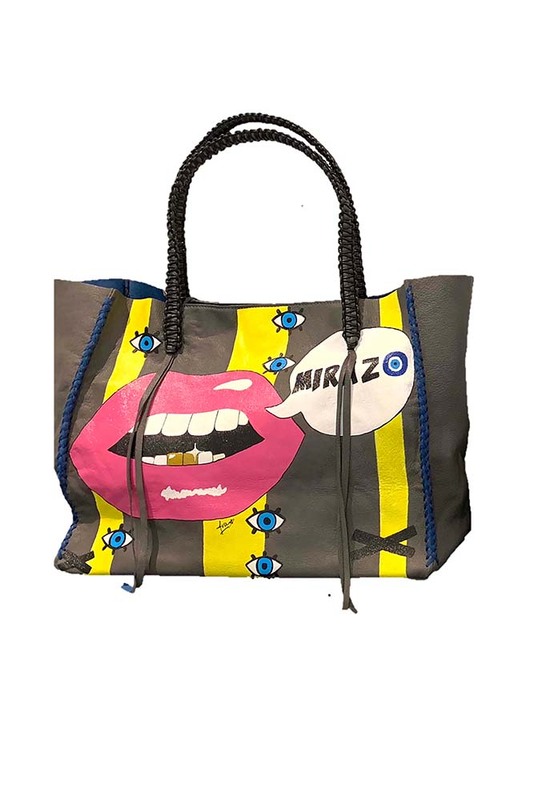 Soft and light, the colors of this bag are grey and blue:: grey outside (+one side of the fringes) with a blue lining (+hand stitched designs and the other side of the fringes).